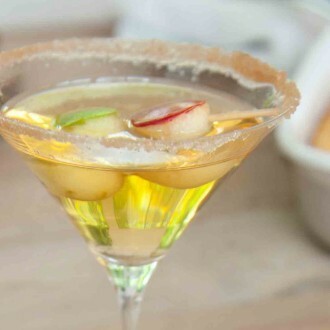 This apple pie martini is a great conversation starter. All the comforting holiday flavors of apple pie are packed into an adorable little cocktail. Toasting to the holidays has never tasted so good. 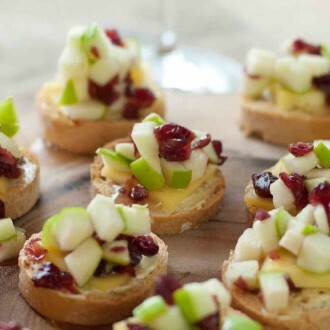 The simple combination of apple, cheese and honey gets a holiday makeover with tart cranberries and a hint of cinnamon in this Honey Apple Bruschetta. 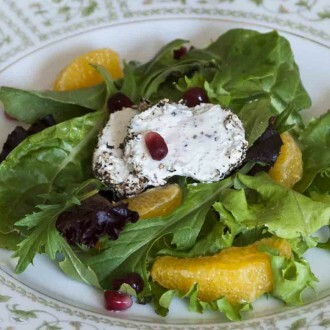 An uncomplicated appetizer salad of mixed baby greens with goat cheese, orange segments and pomegranate seeds sets the scene for an elegant dinner. 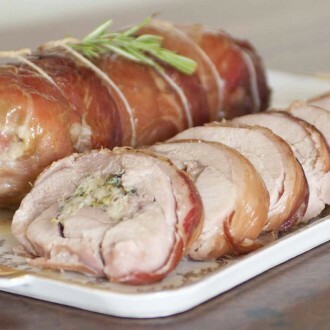 Poaching rather than roasting a turkey breast in the manner of Swedish brined goose is undoubtedly different, but it gives great results. 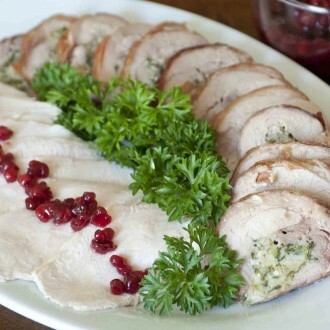 The brining process prevents the turkey from drying out, creating much juicier white meat. 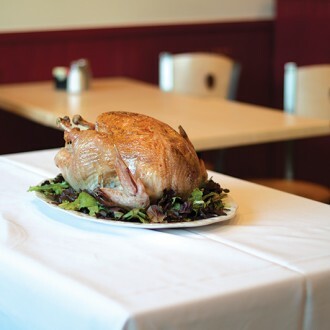 For a new take on a gluten-free Thanksgiving turkey, look no further than than this unique entree. 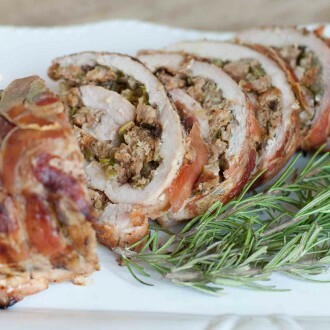 These mini turkey roasts become unbelievably tender and tasty and are so easy to carve. This fall-flavored turkey is the perfect bird to feed a crowd. 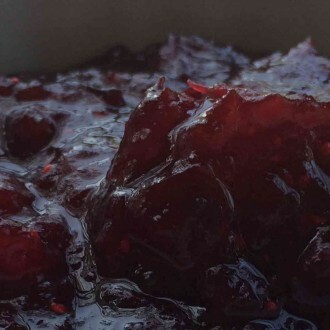 Frozen cranberries, lemon zest, sugar and water combine to make the best cranberry sauce around. This sauce is great with roast turkey but might be even better the day after on turkey sandwiches. 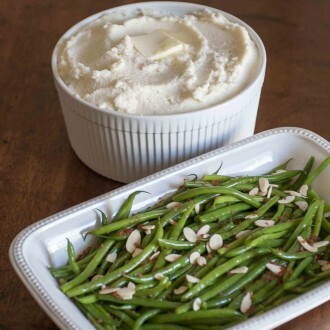 Side dishes of fluffy pureed cauliflower—which is so like creamy mashed potatoes that it fools people—and updated green beans can be prepped ahead of time. 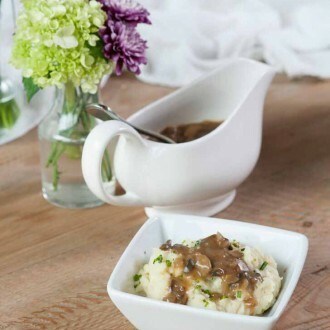 Mix earthy, slightly sweet parsnips with creamy potatoes and a secret ingredient of browned butter, and you’ve got one amazing holiday side—especially when paired with our Marsala Gravy. 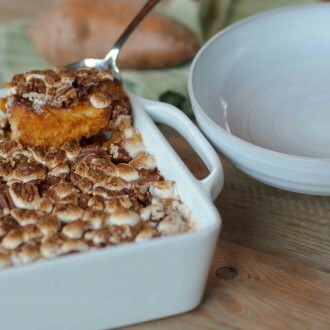 In this gluten-free sweet potato casserole recipe, soft roasted apples take sweet potatoes to a whole new level. 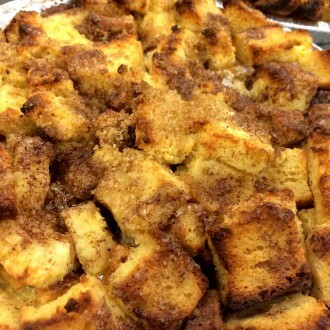 It also doesn’t hurt to top it all with delicious pecans, brown sugar, holiday spices and, of course, toasted marshmallows. Fresh green beans and a delicious homemade mushroom sauce make this Homemade Green Bean Casserole a winner. 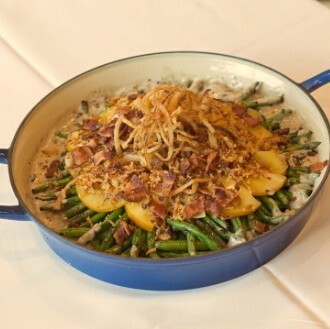 This cheesy take on green bean casserole just might make you forget about the traditional gluten-filled version. Not a fan of mushrooms? 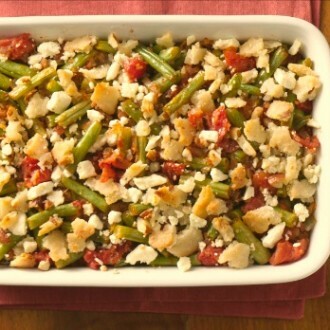 You might opt for this tomato-based green bean casserole instead. A generous amount of crumb topping soaks in the herb-infused tomato juices. 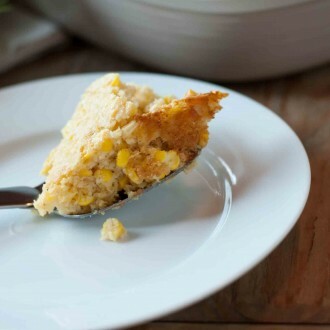 You can easily prepare all the components of this fresh gluten-free cornbread casserole recipe the day before and just assemble it the day of the party. The smoky chorizo pairs perfectly with tender potatoes seasoned with just the right touch of cumin. 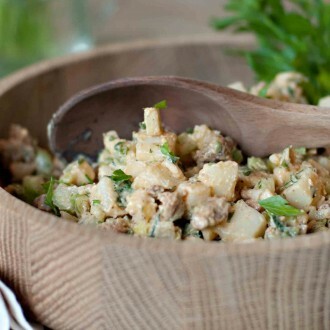 Bonus if you’re traveling to your Thanksgiving feast this year: This side dish travels well and is always a big hit with guests. 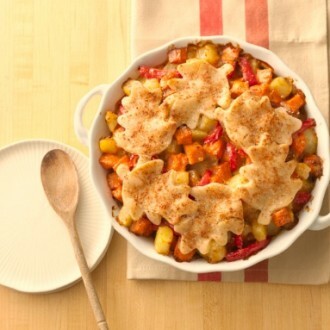 No matter if you’re looking for a killer side dish or a meatless main course, this Sweet Potato Hash Pie has you covered. Brussels sprouts get a citrusy tang with just a few simple ingredients. 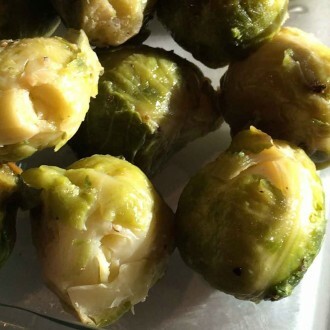 If you think you don’t like Brussels sprouts, this recipe might change your mind. It may not be pretty to look at, but celeriac (also known as celery root) is one of the season’s tastiest yet most underrated crops. 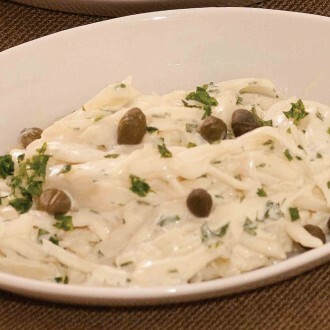 Give this unique vegetable a shot with the classic French side dish Celeriac with Mustard Mayonnaise. 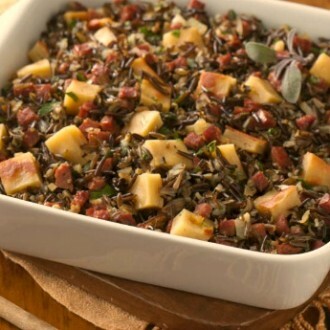 Try this twist on sausage-rice stuffing by swapping out white rice for wild rice and using flavorful-packed chorizo. 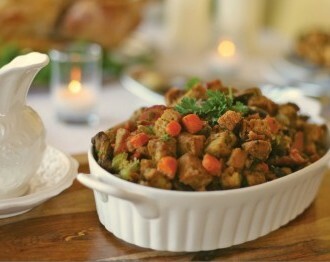 This traditional stuffing recipe will remind you of the stuffing Mom used to make. This paleo take on traditional stuffing is packed with meaty sausage, crunchy pecans and sweet dates. 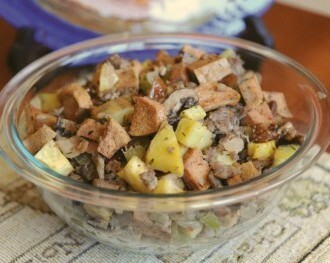 This stuffing recipe is easy to make with any gluten-free sandwich bread, dry fruit and a special seasoning blend. 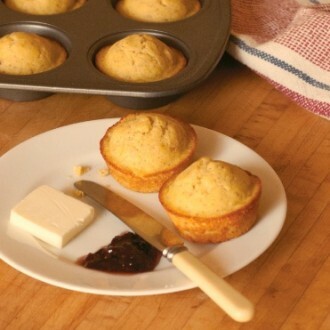 Smoother and lighter in texture than regular cornbread or cornmeal muffins, these freeze and reheat well and are also perfect for breakfast. 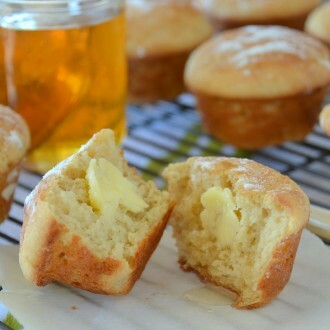 These gluten-free, corn-free rolls are soft, rich and have just a touch of sweetness. The combination of millet, flax and honey keeps guests reaching for more. 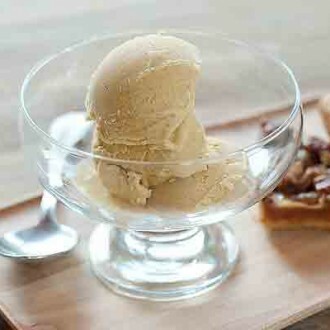 But if it just wouldn’t be Thanksgiving without a little pumpkin on the dessert table, pair the Pecan Pie Bars with this homemade Pumpkin Pie Ice Cream. 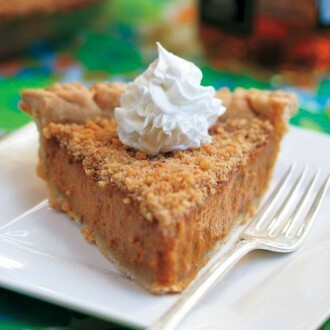 This vegan take on pumpkin pie encapsulates both maple syrup’s unique flavor and distinct sweetness that complements the pumpkin beautifully. 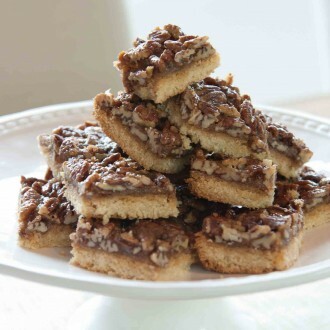 Toffee bits and pecan pieces update the traditional holiday pie to a 2-in-1 pie-lover’s delight.